December saw the end to a lot of products! 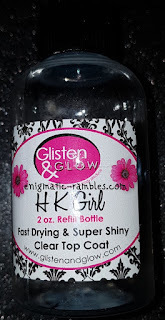 Glisten and Glow Top Coat - This is my go to top coat and I have already repurchased. Avon Hair Oil - I've never used a hair oil like this before so have nothing to compare it to. I didn't find it did anything different to my hair though so wouldn't get it again. 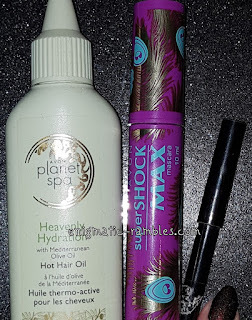 Avon Super Shock Max Mascara - The brush on this was huge but the rubber bristles were very short. It was okay but didn't really do much lengthening or voluminsing, so not something to buy again. I Heart Makeup Eyeliner One Sin Too Many - Really liked this eyeliner, it is very black, lasts in the waterline, soft and doesn't drag. 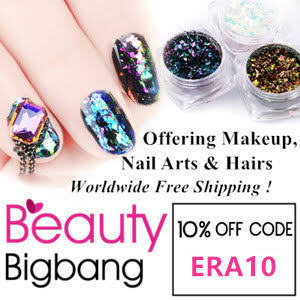 I would repurchase but can't seem to find it anywhere. 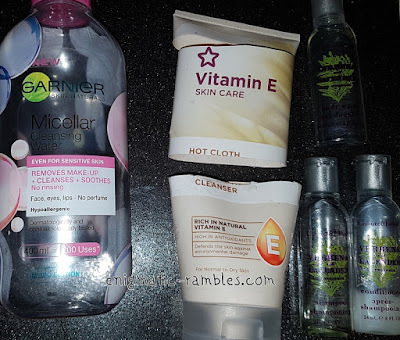 Garnier Micellar Water - This was good, it worked fine. I will be buying another micellar water but maybe not this brand. 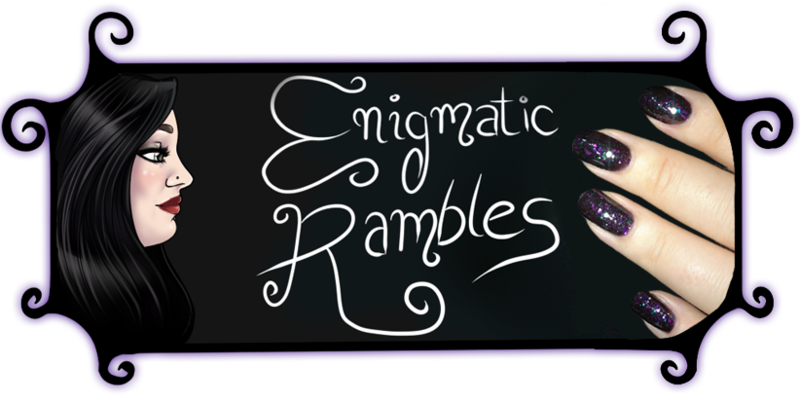 I really like using it on a cotton bud to clean up any dodgy eyeliner lines! Superdrug Vitamin E Hot Cloth Cleanser - This is what I use to remove my make up every time. Always repurchase this cleanser [review]. Crabtree and Evelyn Shower Gel, Shampoo and Conditioner - None of these were that great, I thought they smelt slightly masculine but not something I would look for in a full size. 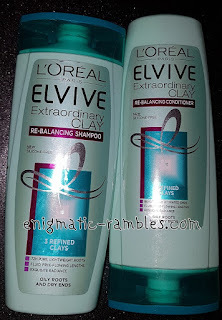 L'Oreal Elvive Extraordinary Clay Shampoo and Conditioner - The pre shampoo treatment sample I got of this made me want to buy these as that was noticeably good. These however didn't so anything to meet the claims of helping oily roots and dry ends. So won't be repurchasing these. 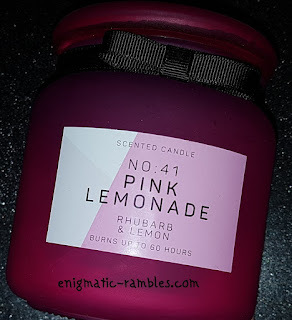 Primark Pink Lemonade Candle - This smelled nice in the jar, and for about the first five hours and then after that it didn't have much if any scent throw. Won't be repurchasing this. Yankee Candle Tarte Tatin Wax Tart - This did have a nice scent throw to it, sweet but also some tartness to it, something I may repurchase. Yankee Candle Christmas Eve Votive - When sniffed it was scented a bit cinnamon like but didn't have a scent throw to it once it was burning which was disappointing. Yankee Candle Candy Corn Wax Tart - A vague sweet scent throw it it, not enough though for me to want to buy it again. Yankee Candle Spiced Orange Wax Tart - For me this is a very winter, Christmas time scent, orange and cloves and it does have a good scent throw to it so would repurchase. Yankee Candle Cranberry Ice Votive - Smelt of sugar and cranberries but once burning it didn't have any scent to it, disappointing. 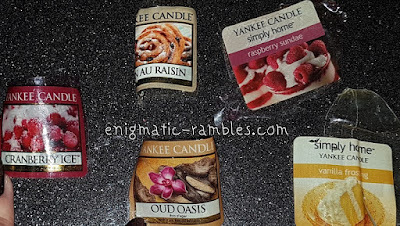 Yankee Candle Pain Au Raisin Wax Tart - Sweet and pastry like but there isn't much scent throw to it once it has melted so won't repurchase. Yankee Candle Raspberry Sundae Votive - This one was scented like raspberries just in the wrapper, once burning it didn't smell of anything which mean's it isn't one I would repurchase. Yankee Candle Vanilla Frosting Votive - This is was scented like vanilla and sugar which would be nice it just didn't have a scent throw. So not one I would repurchase.